Looking for the perfect finishing touch for your home? 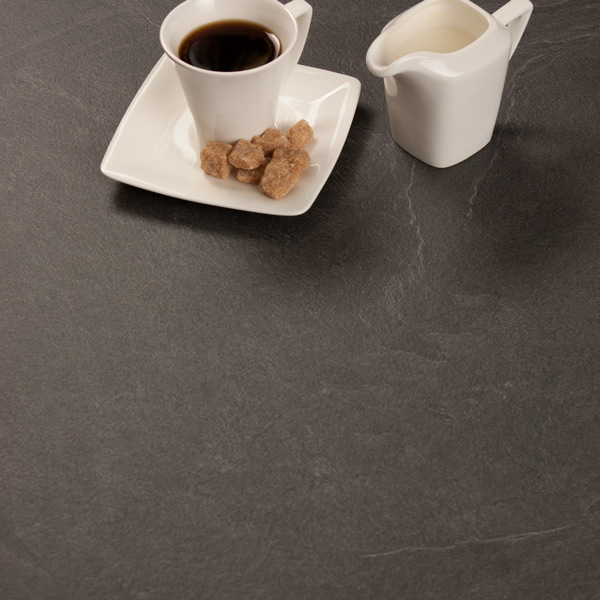 A Luna Nero grey slate laminate worktop upstand is an elegant accessory for matching laminate worktops, and helps to create a seamless and hygienic join between your countertop and kitchen wall. These slate effect kitchen upstands team high-quality fibreboard with a decorative laminate overlay, which are sealed together with high heat and pressure to produce an attractive and hard-wearing finish. A sophisticated addition to any kitchen, this attractive worktop accessory is a great alternative to splashbacks and tiling.